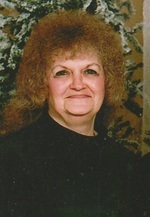 Harron, Patricia A. “Patti”, age 77 of Eden Prairie, passed away peacefully 7-20-2018 surrounded by her loving family. Preceded in death by her first husband John Olejnicak Sr., second husband James Harron, parents Margaret (James) Volling, and brother Robert Ericksen Jr. Survived by children John Olejnicak Jr., Dave Olejnicak, Steve (Cheri) Olejnicak, Tim (JoAnn) Olejnicak, many grandchildren and great grandchildren. Patti had a passion for MN sports teams, especially the Vikings and the Twins and for all things owl, which led to her being known as the “The Owl Lady”. Funeral service 11 AM Thursday at Huber Funeral Home, 16394 Glory Lane, Eden Prairie. Visitation Wednesday 5-8 PM and Thursday 10-11 AM all at Huber Funeral Home. Interment Dawn Valley Cemetery.